Based in Miami, Florida, Imbue consists of Maximiliano Cortes, Ignacio Vallejo and Eduardo J. Alvarez. Forming in 2016, the trio of musicians, producers and DJs has crafted their unique interpretation of minimal electronic music, with influences ranging from house, hip-hop and psychedelic rock. One year after formation, Imbue released their eponymous debut EP, Imbue, in February of 2017 on limited run vinyl. This also marked the first release on their self-titled imprint (IMB001). Continuous studio time led to the second release on their imprint, Abstractions (IMB002), which was available on December 1st, 2017 on all digital platforms. Imbue began displaying their live performance throughout 2018 by playing at the Electric Pickle, Treehouse, Rapture Festival, and Club der Visionaere. Whether headlining, or supporting for premier artists such as Praslea, SIT (Cristi Cons & Vlad Caia), Thomas Melchior, Argenis Brito and Vatos Locos (Chad Andrew, David Gtronic & Randall M), the trio has always captivated crowds with their unique superimposition of live electric guitar and keyboard playing over a consistent DJ set. 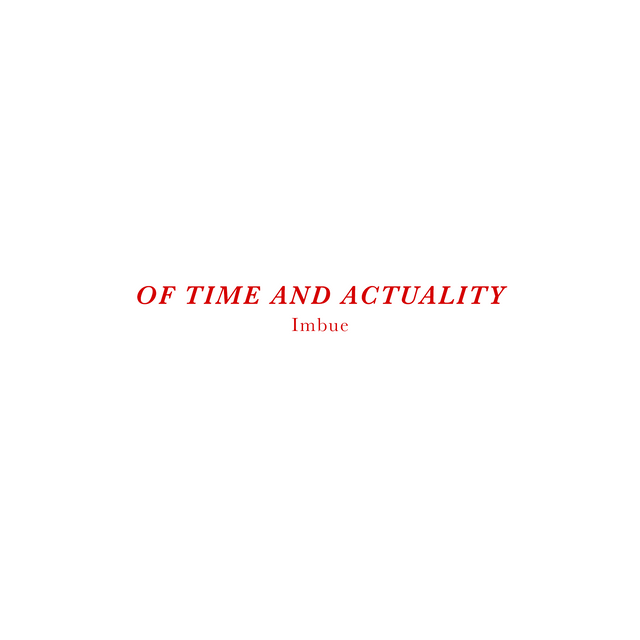 Emphasis shifted back to production by mid to late 2018, resulting in the third installment of the Imbue imprint, Of Time and Actuality. Released on November 22, 2018, IMB003 marked the band’s return to the limited, vinyl only format, and the EP was met with widespread support from the likes of Praslesh (Praslea & Raresh), Sepp, Ferro, Vinyl Speed Adjust, and more. 2019 has featured a balance of production and performance for the trio, reflected by the completion and upcoming release of IMB004, Within the Gaze, as well as their headlining dates throughout Miami. Prior to IMB004, the band will be releasing on the Orlando-based imprint, Default, alongside Rojid and Exander. DFTL001 will be available on vinyl by late May 2019. Last edited by mcortes on Fri Mar 22, 2019 9:15 pm, edited 3 times in total.